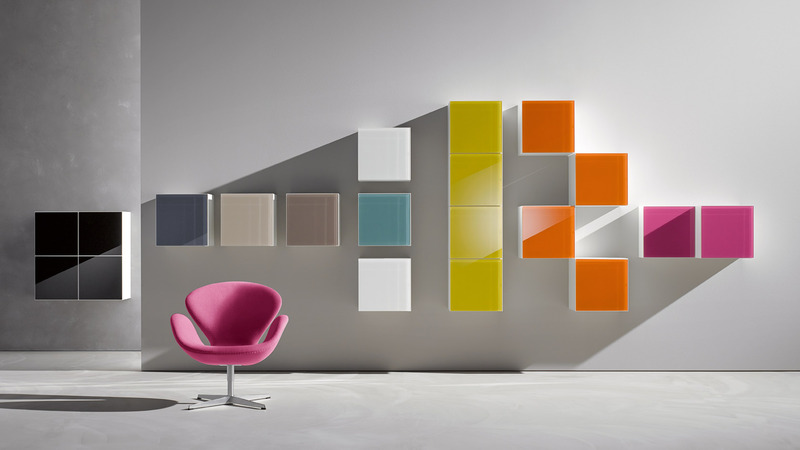 HEWI's Furniture M 40 offers real design freedom: The modules form a flexible storage system. 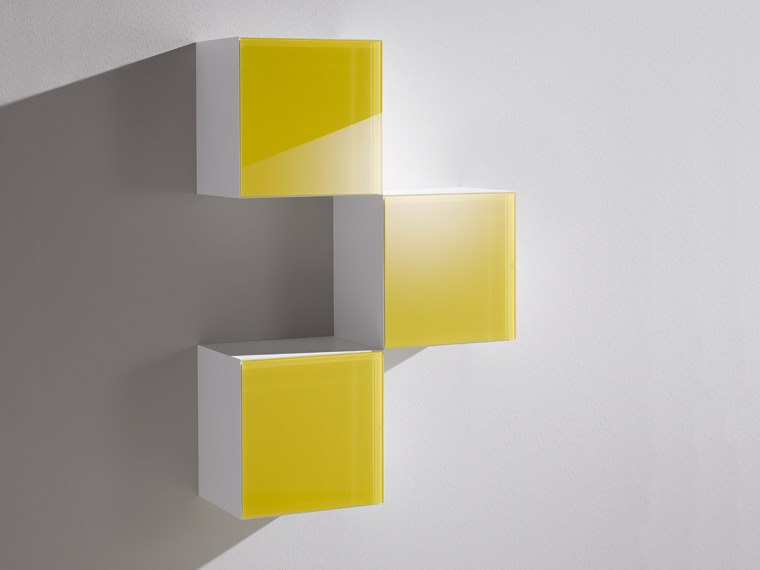 The elements can be arranged individually as a shelf or single module. 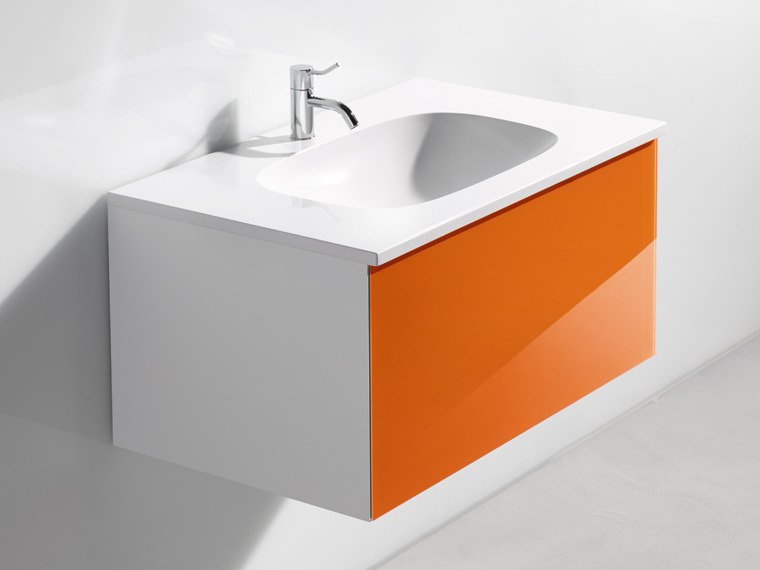 Suitable washbasins and matching base cabinets complement M 40. The simplicity of the concept opens up unlimited possibilities for bathroom design. M 40 follows the classic HEWI design principles: clear lines, striking colours, high-quality materials and lasting quality. This means that the Furniture M 40 includes accessibility elements and therefore naturally also includes special added comfort and convenience in the bathroom. 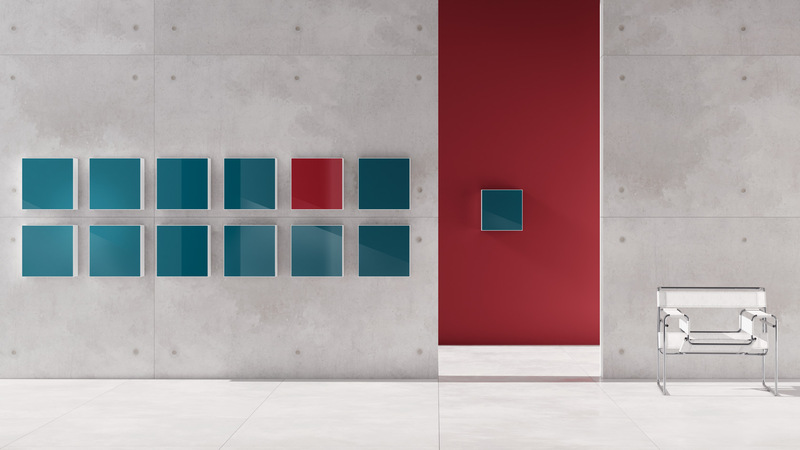 Two new colours now offer even more variety: bordeaux and ocean blue complement the world of HEWI glass colours. 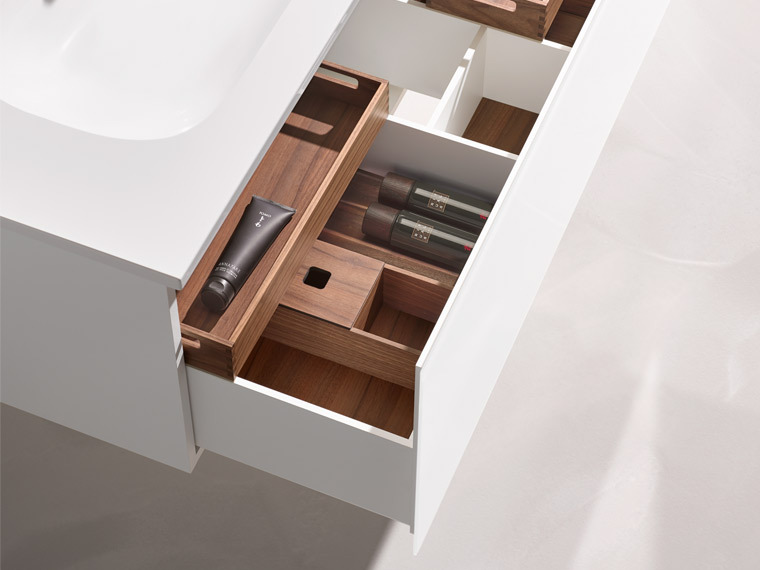 M 40 is individually configurable and thus enables distinctive bathrooms. The individual modules can be arranged completely as preferred; horizontally, vertically or as a free-standing design element. 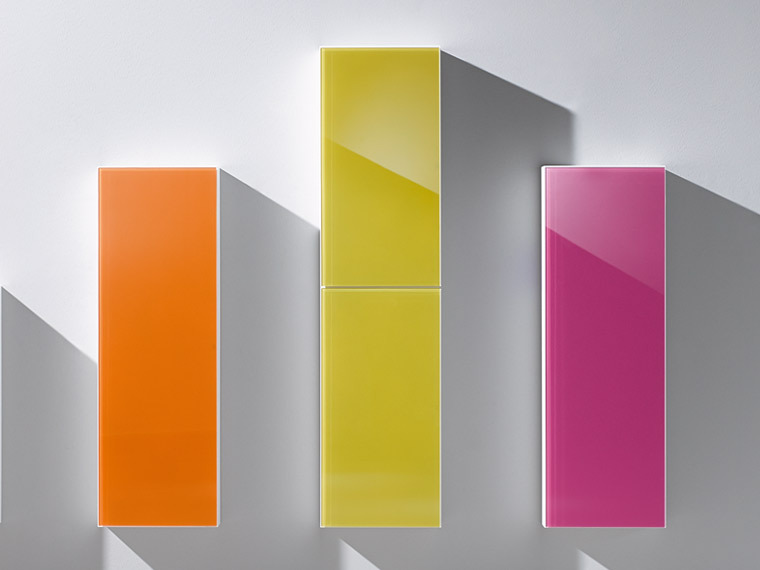 Eleven glass colours, two depths and four heights provide a large number of design options. Discover the versatility of M 40 in the video. M 40 adapts to any room size. 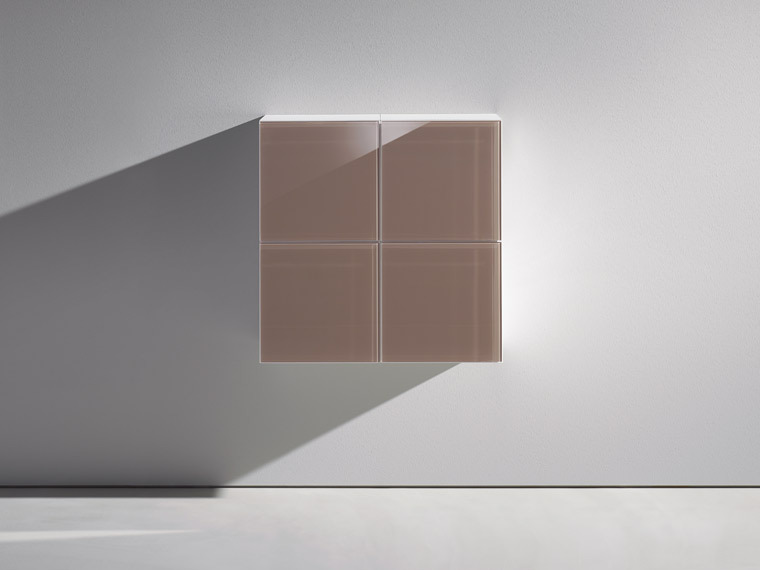 The modules form a freely combinable system that truly fits in every bathroom - whether the design bathroom, the generously-sized comfortable and convenient bathroom for the family, the small guest bathroom or the accessible bathroom. The individual elements can be extended in any way required through all kinds of different arrangements and offer unlimited design freedom. The modules can be combined with each other in diverse ways. 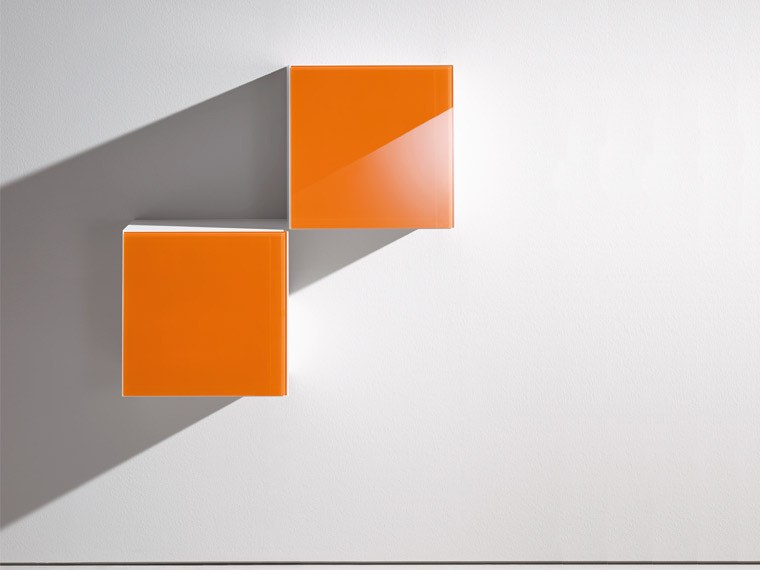 From a solitaire to a wall-mounted installation, they can be extended in any way required and therefore offer freely configurable storage space. 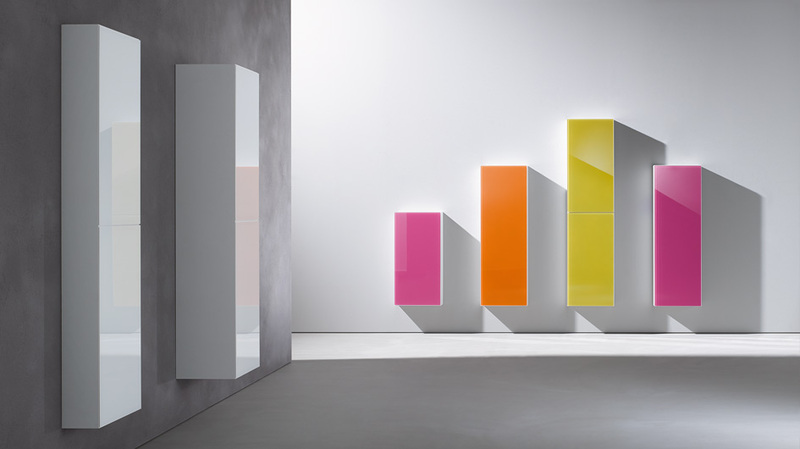 Not only the different heights of the storage modules offer flexibility, but also the two depths (15 and 30 cm). As a result the modules fit in any bathroom. Individual arrangement introduces another dimension to the linear system. 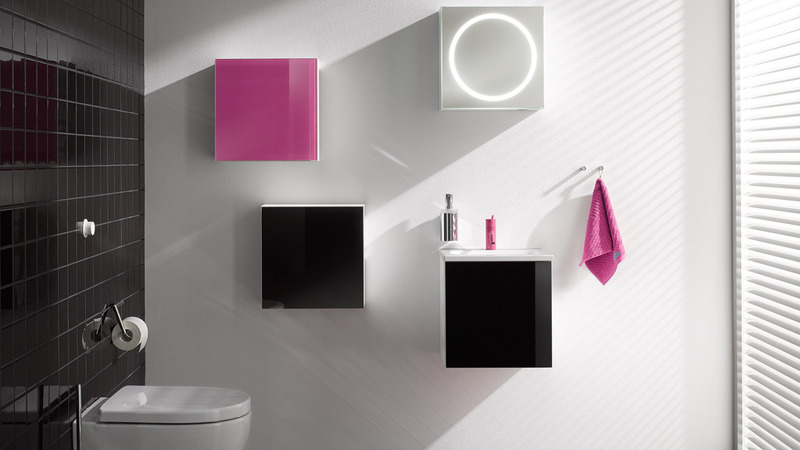 The modules become a design element in the bathroom and open up unlimited design options. The front is made of high-quality, back-painted glass. 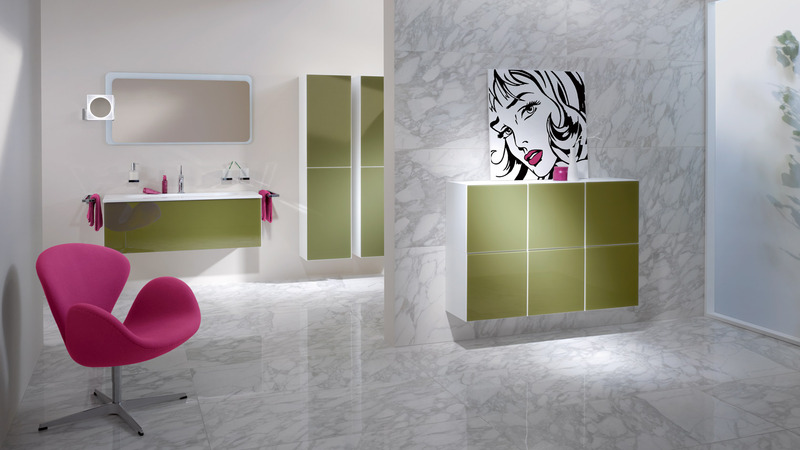 The high-gloss surface sets coloured accents in the bathroom. There are eleven colours to choose from. 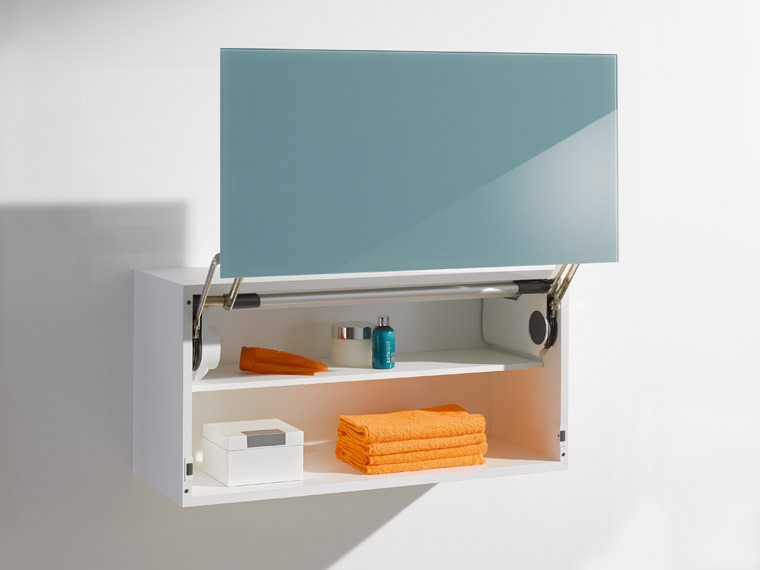 The cabinets are available in three different heights (80, 120 and 160 cm) and two depths (15 and 30 cm) and thus make optimum use of the space available in the bathroom. The mirrored cabinets not only provide plenty of space but also optimum lighting. The integrated LEDs are dimmable. The light temperature can also be varied, from cool daylight through to warm light. Suitable washbasins and base cabinets complement the M 40 modules perfectly. 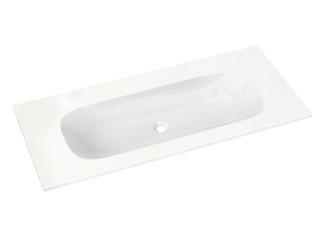 HEWI offers the optimally suitable washbasin matched to the room size. 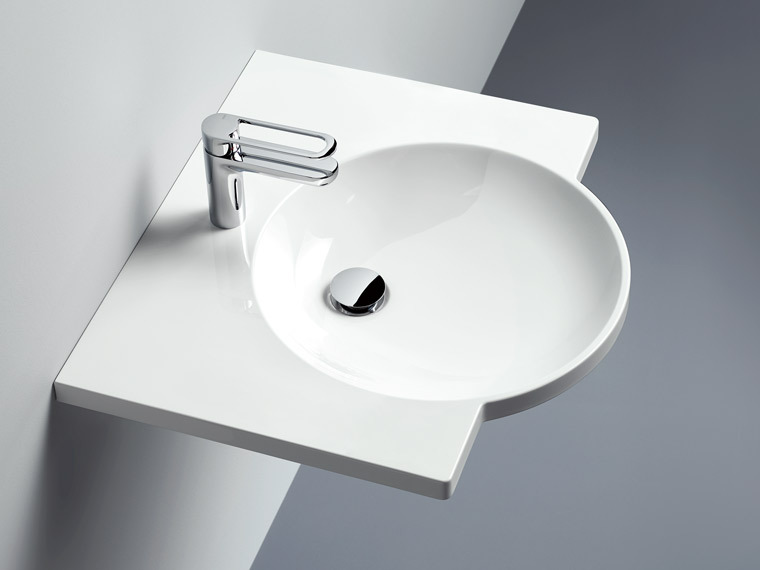 Whether a particularly compact washbasin with integrated base cabinet for the small guest bathroom or a generously sized double washbasin for the family bathroom. 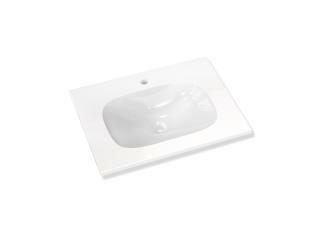 The mineral composite washbasins can be wall-mounted as a solitaire or combined with a suitable base cabinet. The M 40 base cabinets are used for clear storage. 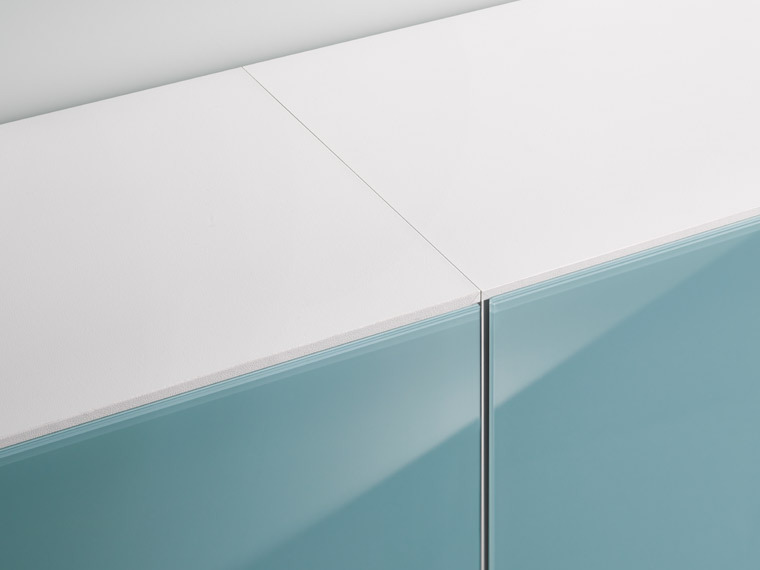 The practical pull-out drawer of the base cabinet can be opened using the push-to-open technology. 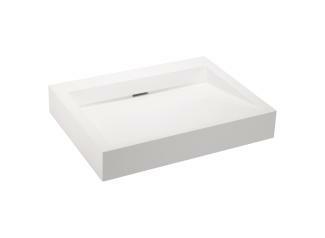 The Soft-close technology brakes the pull-out drawer on closing and gently pulls it shut. 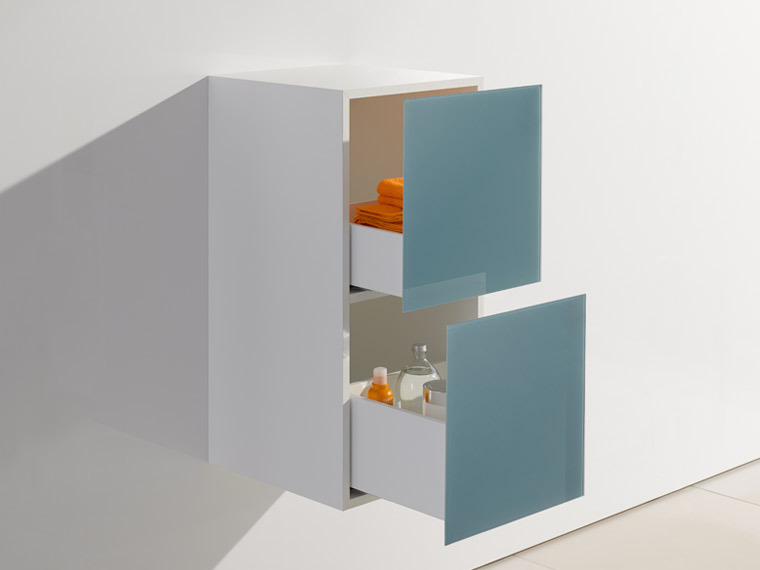 The base cabinet is subdivided so that all bathroom accessories can be clearly arranged. The perfect organiser system for base cabinets is created by the optional add-on fitout set. Multi-generational bathroom concepts are becoming increasingly important. Their implementation is very easy with M 40, as the furniture has been developed on the basis of the universal design criteria. The accessible modules of M 40 offer particular comfort and convenience. They create storage space in the bathroom, which is particularly easy to reach. Thanks to the push-to-open technology the pull-out cabinet can be opened without any physical effort. 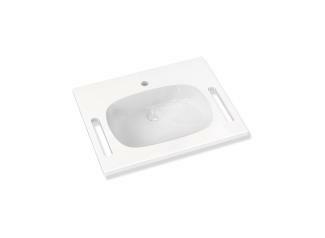 Small aids such as a washbasin with integrated support rails or a mobile seat module support the user. The modular system satisfies the needs of each individual user: no matter how large or old they are or whether they use a wheelchair or a rollator. 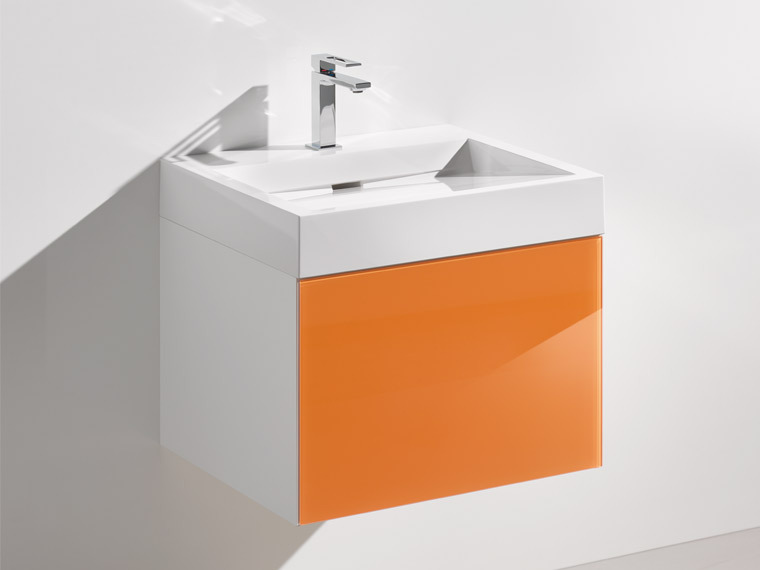 The shallow washbasin made of high-gloss mineral composite has integrated recessed gripping slots, which give the user a secure hold. The seat module has an upholstered seat and lots of storage space inside. 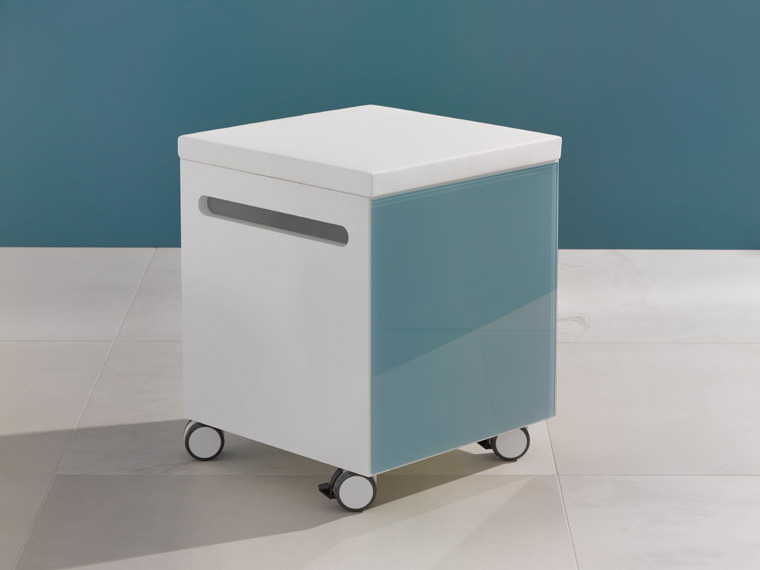 With the help of castors and integrated handles it can be easily moved in the bathroom. The 40 cm deep pull-out cabinet has two pull-out compartments or drawers. 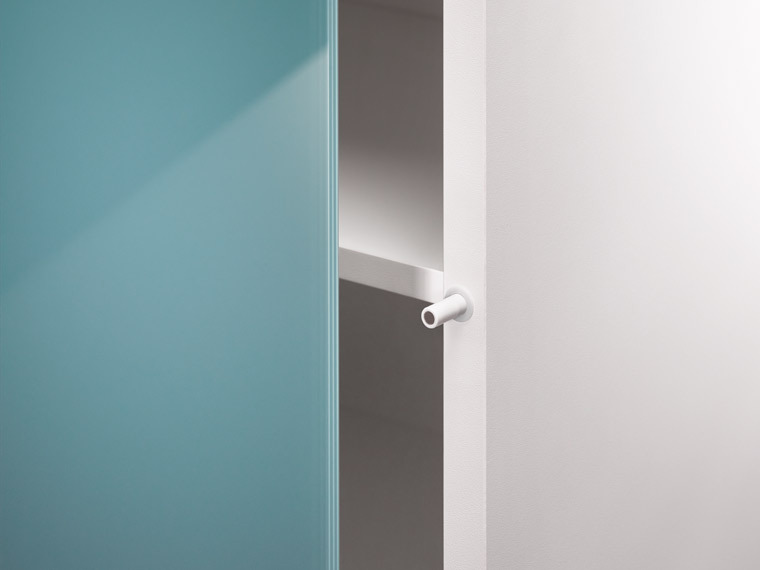 It is installed next to the washbasin - this makes the drawers easy to reach even from a seated position. 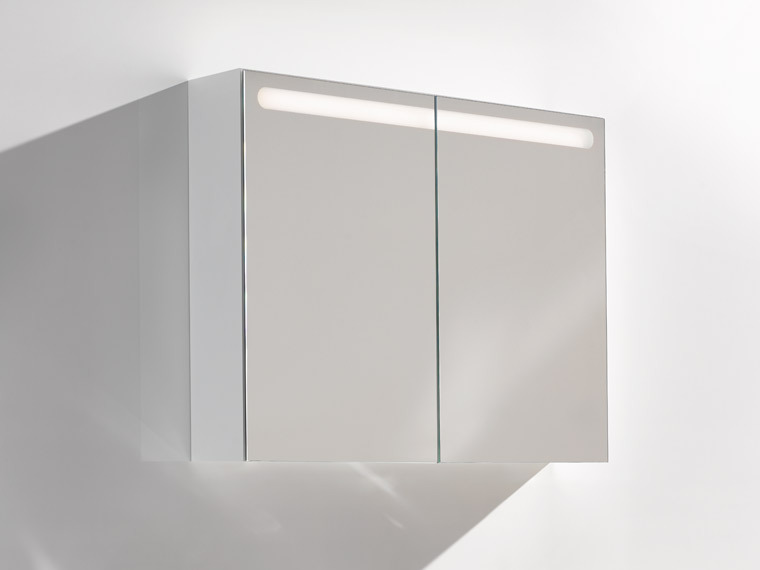 The front flap of the high-lift cabinet can be moved up and down electronically. It is particularly easy to open thanks to the "touch technology" and is just as easy to close with the press of a button. Furniture M 40 stands for precision. 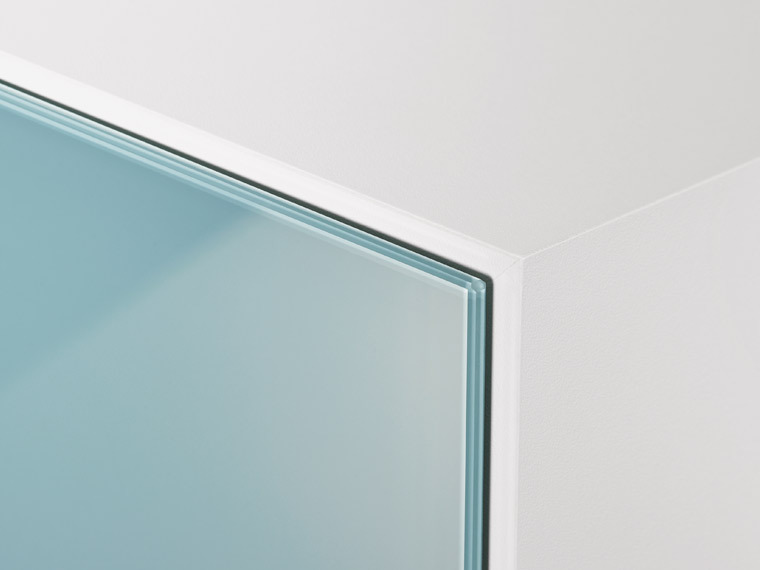 A glass front, which appears to float on the white carcass, immaculate, extremely resistant surfaces and mitre-jointed elements stand for perfect quality, which is lasting. The push-to-open technology enables a smooth, handle-free front. 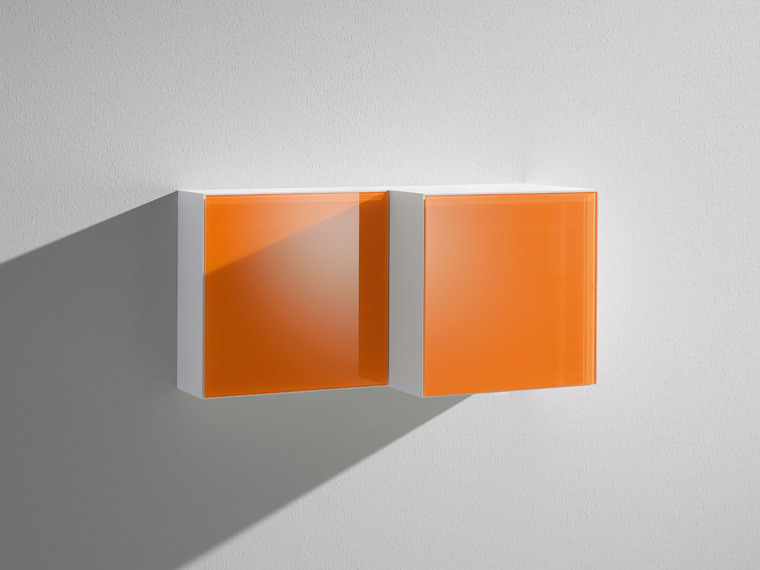 The high-gloss glass surface is available in eleven colours. It is easy to clean and resistant to scratches. The door opens automatically when pressed lightly. The carcass is precisely mitre-jointed. 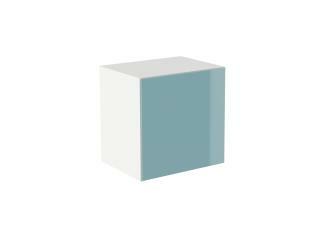 It is made of 16 mm thick MDF and has a 0.8 mm thick facing on both sides – this gives it a surface that is extremely resistant to scratches, cleaning products and moisture. The special Grass hardware enables the individual modules to be joined together without gaps. The hardware ensures maximum stability. The carcass has a concealed wall fixing.